Atletico Madrid chief Miguel Angel Gil Marin attacked Barcelona on Tuesday over their pursuit of highly-prized striker Antoine Griezmann, saying he was “fed up” with the Catalan club’s attitude. Marin issued his strongly worded rebuke hours after a Spanish radio station reported that Barcelona were poised to pay the French international’s 100 million-euro release clause. The Atletico CEO said the club’s stance was very clear. “Not once have we negotiated for Griezmann nor do we have any intention to do so,” he said in a statement issued on the team’s official website. “A few months ago, I personally expressed to Barcelona’s president that our player isn’t for sale nor are we going to sell him,” he continued. 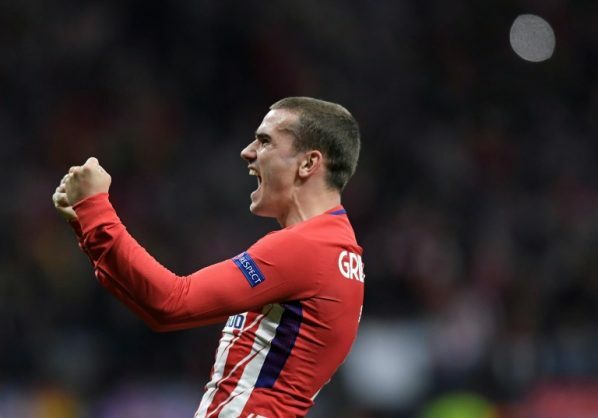 The uncertainty over Griezmann’s future could not have come at a worse time for Atletico as they prepare for next week’s Europa League final against Marseille. Marin added: “We’re fed up with Barcelona’s attitude. He said Atletico would be demanding compensation from Barcelnoa should “the player exercised his right to nullify his contract due to their pressure throughout the season”. Marin’s plea followed a report by Cadena Cope radio station that “Barcelona have told Atletico Madrid they are going to pay Antonie Griezmann’s get out clause. And Atletico know the player will be leaving at the end of the season”. That came after Atletico president Enrique Cerezo refused to clarify Griezmann’s future after domestic media suggested Cerezo had met the player for dinner in a bid to persuade the Frenchman to stay at Atletico, with the promise of a bumper new contract. Cerezo has denied meeting Griezmann for talks but the Atletico president was also not definitive on the 27-year-old’s future. “I can tell you one thing: Antoine Griezmann is an Atletico Madrid player as of today,” Cerezo said. Barca were forced in January to deny publicly they had agreed a deal to sign Griezmann, who has indicated he wants his future resolved before the start of the World Cup. Barca coach Ernesto Valverde on Tuesday described Griezmann as a “great player”. “But we have to be very cautious about saying anything about a player that is not ours and making sure we respect our rivals,” he added.